Categories: Agricultural Tires, Industrial Handling Tires, Mining Tires Brands: American Farmer Tires. All loads shown are for unimproved surfaces. 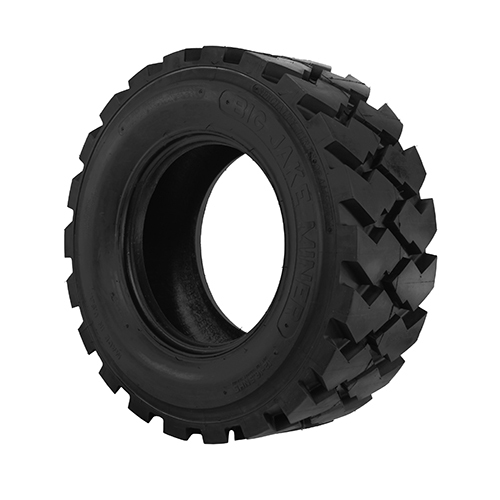 This Limited Warranty covers original-tread Specialty Tires of America American Farmer® brand bias agricultural tires purchased or manufactured after January 1, 2009, used in normal agricultural service. 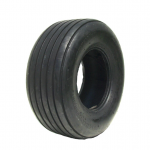 It does not cover tires made for or used in pulling contests, or tires not bearing the Specialty Tires of America serial number and sidewall markings. Failure to observe any of the “Owner-User’s Obligations” items listed elsewhere in this publication. During the first year of service (proof-of-purchase must be attached to claim form), if the tire is worn less than 25%, the tire will be replaced without charge excluding normal mounting and service charges. 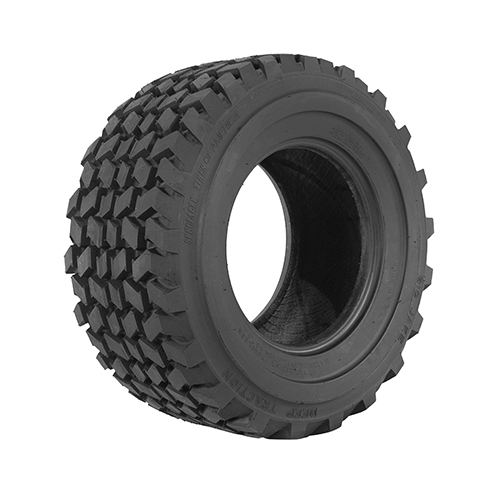 After the free replacement period, the replacement price will be prorated based on years of service from the original purchase date (proof-of-purchase must be attached to claim form, or if proof-of-purchase is not available or if tire was not purchased new, then based on years from date of manufacture, which is molded into the sidewall of the tire) as follows: If wear is more than indicated in any year, the Pro Rata Collection shall be based upon extent of wear irrespective of the year of service or age. After the end of the 5th Year, coverage expires. 100%. To determine the replacement price, multiply the pro rata percentage by the Specialty Tires of America, Inc. owner-user’s buying price. Taxes, mounting, or other service charges will be added to the replacement price. EXCEPT AS SET FORTH IN THIS LIMITED WARRANTY, SPECIALTY TIRES OF AMERICA, INC. DISCLAIMS ALL WARRANTIES EXPRESS OR IMPLIED, INCLUDING BUT NOT LIMITED TO WARRANTIES OF MERCHANTABILITY AND FITNESS FOR A PARTICULAR PURPOSE. SPECIALTY TIRES OF AMERICA, INC. DISCLAIMS LIABILITY FOR ANY SPECIAL, INCIDENTAL, CONSEQUENTIAL AND PUNITIVE DAMAGES, LOSS OF TIME OR PROFITS, LOSS OF VEHICLE USE, OR INCONVENIENCE. Some states do not allow the exclusion or limitation of incidental or consequential damages, so this limitation or exclusion may not apply to you. 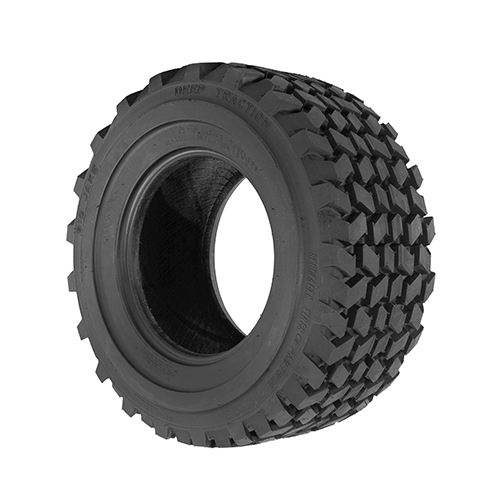 Only the original purchaser of the covered tires may make an adjustment claim under this Limited Warranty and only for tires used in normal agricultural operations in North America, Central and South America, and the Caribbean. Nothing in this Limited Warranty is intended to be a representation that failures cannot occur. Proper tire care is necessary to obtain maximum hours of usage and wear. The owner-user’s obligations are to operate tires within tire load and speed limits (at cold air pressures specified by Specialty Tires of America, Inc. for load and speed according to individual tire size, type, and load capacity) and to maintain proper tire and wheel alignment. In case of a warranty or adjustment claim, the owner-user must present the tire to an authorized Specialty Tires of America dealer, complete and sign the customer section of the adjustment claim form, attach to the claim form a copy of the proof-of-purchase showing the date the tire was purchased new or proof-of-purchase of the new agricultural equipment that the tire came on, and pay the appropriate replacement price, taxes and service charges for a new, current equivalent Specialty Tires of America brand tire. The obligation of Specialty Tires of America, Inc. under this Limited Warranty and Commercial Adjustment Policy may not be enlarged or altered by anyone. 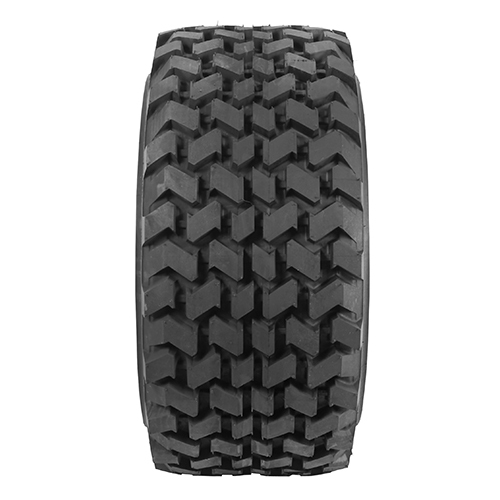 The Specialty Tires of America, Inc. Stubble Damage Policy covers new Specialty Tires of America American Farmer® brand R-1 and “Stalk Buster” tires manufactured after January 1, 2009. Tires submitted for adjustment under this policy must have been purchased new by the owner-user and used in normal agricultural service. 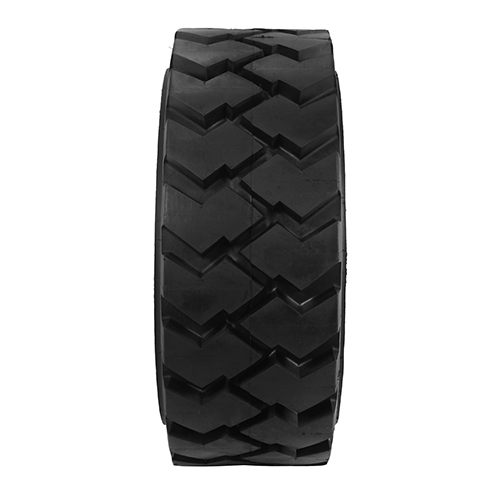 This Stubble Damage Policy does not cover tires made for or used in pulling contests, or tires not bearing the Specialty Tires of America serial number and sidewall markings. Only the original purchaser of the covered tire or of the agricultural equipment the tire came on may make an adjustment claim under this Stubble Damage Policy. If, in normal agricultural service, a Specialty Tires of America tire covered by this Stubble Damage Policy becomes unusable or not repairable due to stubble damage, such tire will be replaced with an equivalent new Specialty Tires of America tire on a pro rata basis as set forth below. The original purchaser must pay as a replacement price the appropriate pro rata percentage of the owner-user’s buying price, together with mounting and service charges and applicable taxes. This Stubble Damage Policy is a statement of adjustment policy coverage only. Nothing in the Stubble Damage Policy is intended to be a warranty against stubble damage or representation that failures cannot occur. 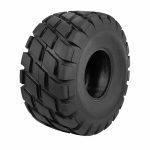 SPECIALTY TIRES OF AMERICA, INC. DISCLAIMS ALL WARRANTIES, EXPRESS OR IMPLIED, IN RESPECT OF STUBBLE DAMAGE, INCLUDING BUT NOT LIMITED TO THE IMPLIED WARRANTIES OF MERCHANTABILITY AND FITNESS FOR A PARTICULAR PURPOSE. After the end of the 3rd Year, stubble damage coverage expires. 100%. To determine the replacement price, the appropriate pro rata percentage is multiplied by the owner-user’s buying price. Taxes, mounting, or other service charges will be added to the replacement price. SPECIALTY TIRES OF AMERICA, INC. DISCLAIMS LIABILITY FOR ANY SPECIAL, INCIDENTAL, CONSEQUENTIAL AND PUNITIVE DAMAGES, LOSS OF TIME OR PROFITS, LOSS OF VEHICLE USE, OR INCONVENIENCE. Some states do not allow the exclusion or limitation of incidental or consequential damages, so this limitation or exclusion may not apply to you. This Stubble Damage Policy does not cover broken beads, damage due to run flat, abuse, land leveling, vehicle projection, accident, collision, fire or vandalism. Only the original purchaser of the covered tires may make an adjustment claim under this Stubble Damage Policy and only for tires used in normal agricultural operations in North America, Central and South America, and the Caribbean. Set the tire spacing to run between rows – not on stubble. Use mechanical devices readily available through equipment manufacturers to knock down stubble. Make first tillage pass parallel to the rows. In case of an adjustment claim, the owner-user must present the tire to an authorized Specialty Tires of America dealer, complete and sign the customer section of the adjustment claim form, attach to the claim form a copy of the proof-of-purchase showing the date the tire was purchased new, or proof-of-purchase of the new agricultural equipment that the tire came on, and pay the appropriate replacement price, taxes, mounting and service charges for a new, current equivalent Specialty Tires of America brand tire. The obligation of Specialty Tires of America, Inc. under this Stubble Damage Policy may not be enlarged or altered by anyone. 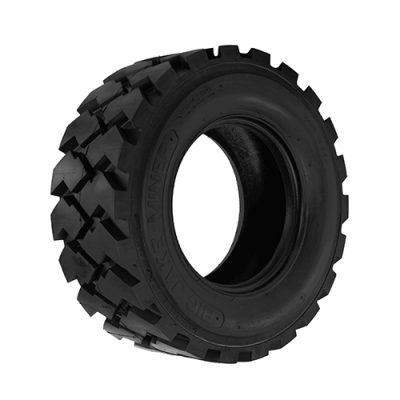 The Specialty Tires of America, Inc. Field Hazard Policy covers new Specialty Tires of America American Farmer® brand R-1 and “Stalk Buster” tires manufactured after January 1, 2009. Tires submitted for adjustment under this policy must have been purchased new by the owner-user and used in normal agricultural service. This Field Hazard Policy does not cover tires made for or used in pulling contests, or tires not bearing the Specialty Tires of America serial number and sidewall markings. Only the original purchaser of the covered tire or of the agricultural equipment the tire came on may make an adjustment claim under this Field Hazard Policy. If, in normal agricultural service, a Specialty Tires of America tire covered by this Field Hazard Policy becomes unusable or not repairable due to field hazard, such tire will be replaced with an equivalent new Specialty Tires of America tire on a pro rata basis as set forth below. The original purchaser must pay as a replacement price the appropriate pro rata percentage of the owner-user’s buying price, together with mounting and service charges and applicable taxes. This Field Hazard Policy is a statement of adjustment policy coverage only. Nothing in this Field Hazard Policy is intended to be a warranty against field hazards or representation that failures cannot occur. SPECIALTY TIRES OF AMERICA, INC. DISCLAIMS ALL WARRANTIES, EXPRESS OR IMPLIED, IN RESPECT OF FIELD HAZARDS, INCLUDING BUT NOT LIMITED TO THE IMPLIED WARRANTIES OF MERCHANTABILITY AND FITNESS FOR A PARTICULAR PURPOSE. After the end of the 2nd Year, coverage expires. 100%. This Field Hazard Policy does not cover broken beads, damage due to run flat, abuse, land leveling, vehicle projection, accident, collision, fire or vandalism. Only the original owner-user of the covered tires may make an adjustment claim under this Field Hazard Policy and only for tires used in North America, Central and South America, and the Caribbean. The owner-user’s obligations are to operate tires within tire load and speed limits (at cold air pressures specified by Specialty Tires of America, Inc. for load and speed according to individual tire size, type, and load capacity) and to maintain proper alignment of wheels. 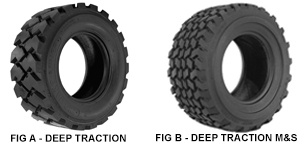 The obligation of Specialty Tires of America, Inc. under this Field Hazard Policy may not be enlarged or altered by anyone.